10 Ways Your Neighbor Can Wreck the Sale of Your House! Ever had to deal with "those" neighbors? You know who I'm talking about: neighbors that don't take pride in their homes' appearance, or those who disregard neighborhood ordinances, or the busybody down the street. See how you can resolve these issues before they interfere with the sale of your home. Do you have obnoxious, inconsiderate, annoying neighbors? These people can be more than a nuisance - they can ruin your chances of selling your house. Bad neighbors can wreck the value of nearby houses, they can lower comparable prices, they can deter potential Buyers from wanting to live next door to you! Busybodies who complain about the neighbors, the neighborhood, and everything else. Lawns that are not mowed; junk and trash in the yard. Abandoned houses (re: FNMA and HUD foreclosures that are in terrible disrepair). Hangouts for teenagers and loud parties. Garage doors left open, exposing the Hoarder's clutter. Weather-beaten houses that are in serious need of repair. 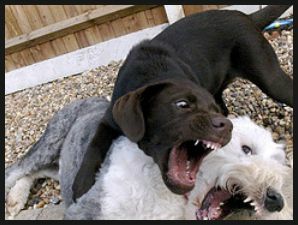 Barking, threatening, or vicious dogs. Cars on blocks, "driveway mechanics", abandoned vehicles. Loud music, shouting neighbors, fighting spouses. Overbearing neighbors who want to talk it up with your prospective Buyer. Any of these situations can turn away potential Buyers. And, bad neighbors are not just in the "lower-end houses"... they can appear in all types of neighborhoods and all price ranges, from starter home neighborhoods to upscale Golf Course Community neighborhoods. What can you as a Seller do? Talk with the neighbor! You might be able to resolve the problem with a simple conversation and a little diplomacy. Sometimes people are not aware that their behavior, or the appearance of their house, is offensive. Be persistent! You may have to deal with a Landlord or Rental Management Company that simply does not care, as long as the rent is paid. Dog owners may be oblivious to the barking. Busy parents who are often out of town may not know that their teenage children are using the house as a party place for their friends. Contact the Homeowners' Association. A particular offense might be a violation of the Deed Restrictions. Many HOA's have the legal authority to place Liens on houses that are in violation of the Covenants. Insist that the HOA enforce the covenants! (See an Attorney for legal advice). Contact your City Department of Code Enforcement, Environmental Management, or Zoning. The cars on blocks and the un-mowed lawn may be a violation of City Ordinances. Let the City or County Government be "the bad guy" who gets the problems corrected. Foreclosures: this is a toughie. The Big Banks, and the quasi-Governmental agencies like Freddie Mac and Fannie Mae don't give a damn. You can try contacting the Lender that is the owner of record. 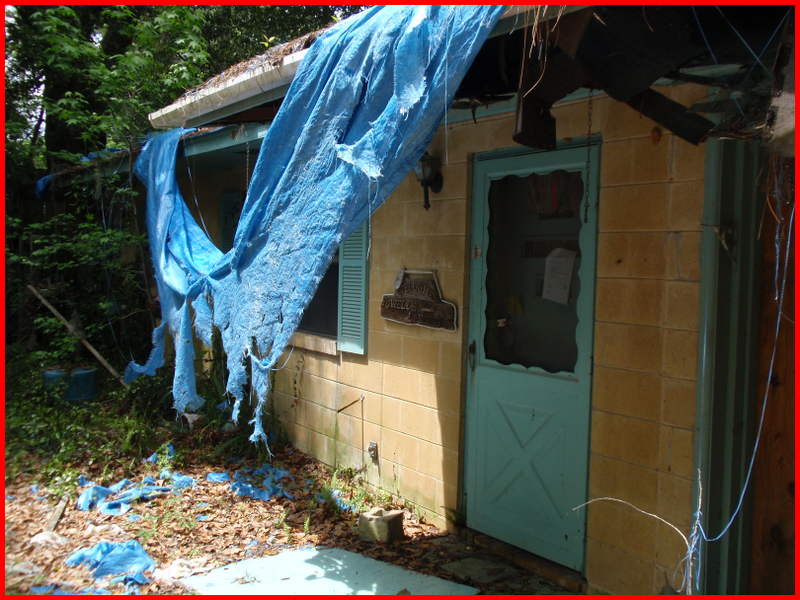 You may want to bring in a local TV Station or other news media outlet, and ask them to do a segment on the eyesore. 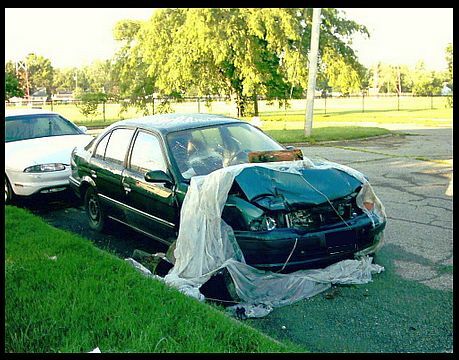 Ask an Attorney if you have grounds for Civil Litigation (sue the bastards). Granted, few people want to bring a lawsuit given the cost, the time, and the personal animosity that may result, but it may be your only choice. Bad neighbors can wreck your chances of selling your house. Obnoxious neighbors can lower the value of nearby houses, they can make your house extremely difficult to sell. Ask your Real Estate Agent, or a Real Estate Attorney, for help or advice in dealing with these people. Disclaimer: Nothing in this blog article is to be construed as legal advice, tax advice, or financial advice. For legal advice see an attorney. For tax advice or financial advice see a tax attorney, certified public accountant, or other qualified professional.